At the Fakuma trade fair in Friedrichshafen, ENGEL AUSTRIA is presenting itself in a good mood. 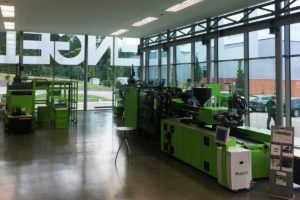 The injection moulding machine manufacturer and system solution provider based in Schwertberg, Austria, continues to be on course in the current financial year. Production capacities and the number of employees worldwide are being continuously increased. This is a significant increase as compared to the previous year’s revenue of 1.36 billion euros. The machine manufacturer is optimistic regarding the upcoming months. ENGEL has been disproportionately benefiting from the robust, uninterrupted growth of the plastics industry for almost ten years. “We have continued to achieve growth in all regions and all relevant industries”, says Engleder. At 55 percent, Europe represents the lion’s share of revenue. At this time, ENGEL is achieving 24 percent of its revenue in America and 20 percent in Asia. Germany continues to be one of the highest revenue markets of the ENGEL Group. Over the last five years, ENGEL was able to increase its sales here by 50 percent. As explained by ENGEL’s Managing Directors, there are two factors that play a major role in this. ENGEL currently employs more than 300 people in Germany, and the trend is rising. 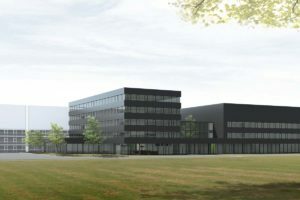 The ENGEL Deutschland Technologieforum Stuttgart – the youngest of the four German subsidiaries – has more than doubled its amount of personnel since opening in April of 2013. Most recently, new employees have been added in the areas of service, project management, and application technology. Application technology plays an especially important role in the technology centre in Stuttgart, which is significantly larger than most other technology centres within the ENGEL group. Since September of this year, the location includes a MuCell competence centre. A large foam injection moulding cell is now permanently available in Stuttgart for customer tests, development work and training. 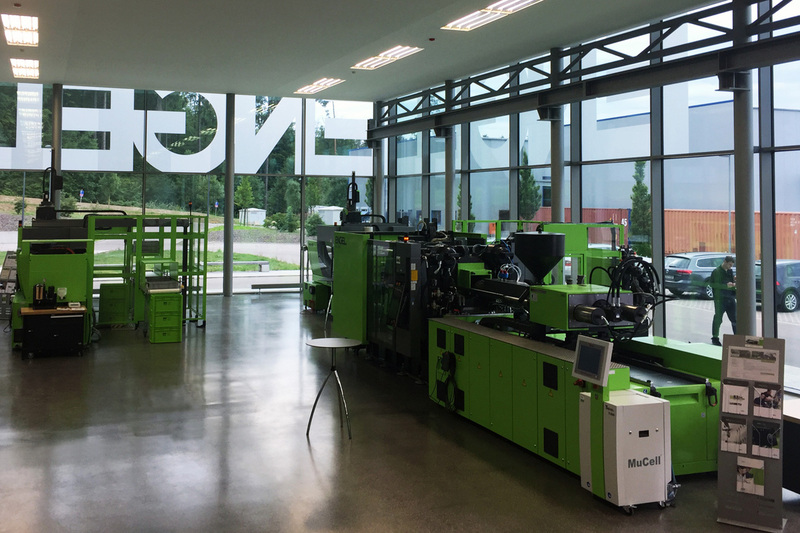 In the competence centre, ENGEL in Stuttgart employs an in-house MuCell technology expert. In the current financial year, the main focus of investment in Germany is the Hannover location – with 80 employees, it is one of the largest ENGEL sales and service subsidiaries worldwide. The significantly expanded and modernised branch was opened in May. ENGEL has invested about 5 million euros into its northernmost German location. The customers in Hannover are benefiting from the doubling of the usable area, especially because of the significantly larger technology centre and the expanded event and seminar area. The new interactive technology centre also accommodates large machines with clamping forces up to 7000 kN. In addition to varying showpieces, the topics of lightweight construction and inject 4.0 are two permanent main exhibit areas. Industry 4.0 is one of the strongest growth drivers worldwide, which is clearly reflected in the presentations at Fakuma 2017. 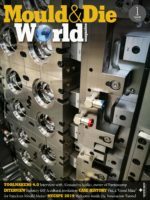 These are not only about changes in production processes, but rather new forms of collaboration, as Stefan Engleder clarifies: “More and more, we are accompanying our customers throughout the entire life cycle of injection moulding machines and production cells. Among other things, this involves even more intense consulting in planning production solutions, new possibilities in after-sales service such as predictive maintenance, continuous process optimisation and the flexible adaptation of production solutions to changing tasks. The direction in which ENGEL’s collaboration with its customers is growing explains why in particular the areas of service and application technology are growing in terms of personnel. Furthermore, ENGEL is increasingly employing people in the area of information technology. Specifically, 120 additional positions are advertised for the three Austrian locations, with another 20 advertised for Germany. By the end of the financial year in March 2018, ENGEL expects to employ 6,400 people worldwide. Other technological growth drivers are the advancing material substitution in high-tech applications such as automobile construction or medical technology, as well as lightweight construction in the automotive and teletronics industries. The technological trends go hand in hand with a continuously increasing degree of process integration and automation, which in turn leads to an increased demand for integrated solutions from a single source. “The increasing complexity of processes is one of the biggest challenges facing plastics processors. As the complexity increases, It is our job to provide more transparency and clarity and to ensure that even complex processes can be easily managed and controlled”, clarifies Christoph Steger. To meet the worldwide increase in demand, more than three years ago ENGEL began the most comprehensive investment programme in the history of the company. Altogether, over 375 million euros will be invested into the production facilities alone by 2020. The largest ongoing construction project is the expansion of the large machine plant in St. Valentin, Austria. In the summer of this year, a milestone was achieved and an additional production hall was put into operation. This expands the production area by more than 4,000 square metres and also provides additional office space. In the next step, a new administrative building and a new customer technology centre will be built at the site, starting in spring 2018. In the source of this expansion step, the centre for lightweight composite technologies located in St. Valentin will also be expanded. In the ranking of the biggest construction projects in the ENGEL Group, the company headquarters are right behind St. Valentin. Since the summer, there has been a large construction site next to the main entrance. By autumn of 2018, the northern production hall there, which was constructed in 2013, will be expanded by 11,500 square metres. In addition a new, significantly larger customer technology centre is being built. 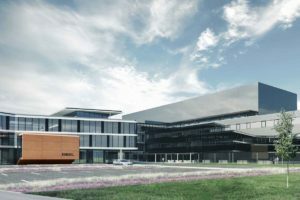 ENGEL just completed the expansion of the technology centre at the southern end of the plant premises in the spring of this year. An additional area of 10,000 square metres for office space, the apprentice workshop and a daycare centre was added there. The in-house daycare centre for small children is a new offering by ENGEL, which has been met with such a huge positive response by employees that by now, a second daycare group has been started. In June, the editorial staff of Woman magazine named ENGEL as one of the most family-friendly companies in Austria. In parallel to the large machine factory in St. Valentin, capacities were also expanded in Shanghai. In time for the 10-year anniversary of the plant, this September ENGEL was able to open the new building complex with a grand festive ceremony. In Shanghai, the existing office building was lengthened to add another 1,000 square metres of usable space. In addition, a new production hall was constructed, expanding large machine production by 1,600 square metres. The apprentice workshop is also being newly constructed. 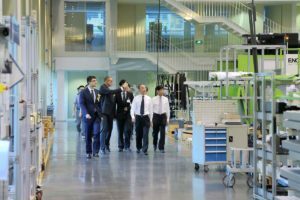 It is considerably larger than the previous one, because since beginning the ENGEL apprenticeship programme in China four years ago, the amount of trainees has increased significantly. Currently in Shanghai, 45 young people are being trained in three technical professions. With in-house training and continuous investments into its apprentice workshops, ENGEL is securing its long-term demand for trained workers. At all locations, the hiring rate is over 98 percent. Besides Austria and China, ENGEL has training programmes for technical professions in Germany and the Czech Republic. Finding qualified and committed employees and binding them to the company does not only pose a challenge for production. “We also need to break new ground in sales”, emphasises Christoph Steger. To that end, ENGEL started an international sales trainee programme in September 2016. Seven young men and one woman from the US, China, Korea and Austria, respectively, are the pioneers on this training track. By now, they have successfully completed the introductory phase and their first assignments abroad. By the end of the two year training, they will have become familiar with ENGEL plants and subsidiaries on three continents. ENGEL plans to offer new sales trainee positions for the coming year.